Sunday coffee. … And lots of it! 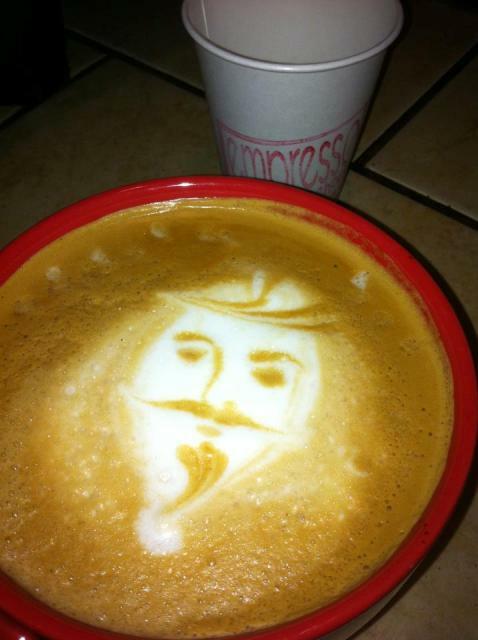 At Empresso on the Miracle Mile in Stockton. … AC is off, though. Not so fun. The new job has kept me away from blogging and has drastically cut into my very valuable coffeehouse time. It’s sad, really, to have to turn our backs on something as vital to our existence as coffee and the coffeehouse experience simply to make a living wage. Something is wrong in that. 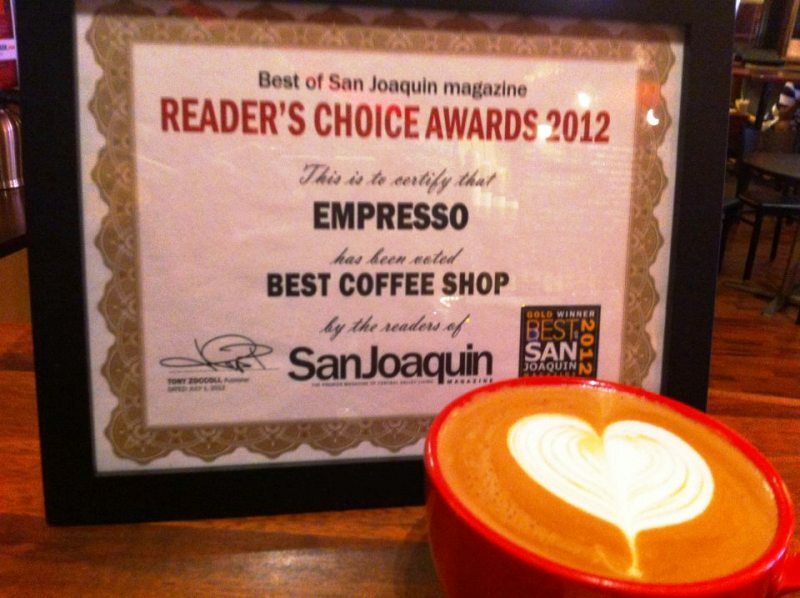 Especially since coffeehouses – most specifically Empresso on the Miracle Mile in Stockton – have provided a sanctuary during the two and a half years that I was unemployed. 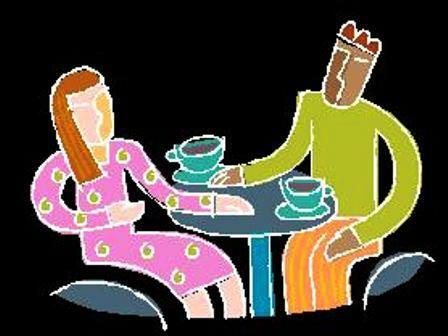 So here are some coffeehouse resolutions for the new year. Coffeehouse resolution No. 1: Drink more coffee. I know what you are thinking – is there really a need for this resolution? I mean, after all, “more coffee” makes complete sense. Resolving to drink less coffee would just be, well, silly. Coffeehouse resolution No. 2: Drink more coffee. Yeah, it’s so important to the very fiber of 2012 that “Drink more coffee” is listed here twice. Coffeehouse resolution No. 3: Learn more about coffee. You would think that I know a lot about coffee – and I do. But I consider it vital that I be a “lifelong learner” when it comes to coffee. I consider this an investment in continuing education. Coffeehouse resolution No. 4: Be bolder when it comes to my caffeinated beverages. I tend to be in a rut when it comes to my beverage choices. I tend to go with straight coffee – mild rather than bold because I heard once that there was more caffeine in mild coffee. Usually Sumatra. No sugar or cream. I think it is time to branch out just a bit more. OK, that’s it for now. 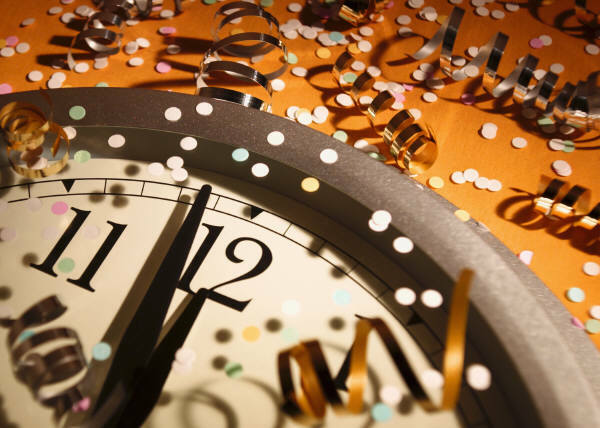 Have a very HAPPY NEW YEAR!